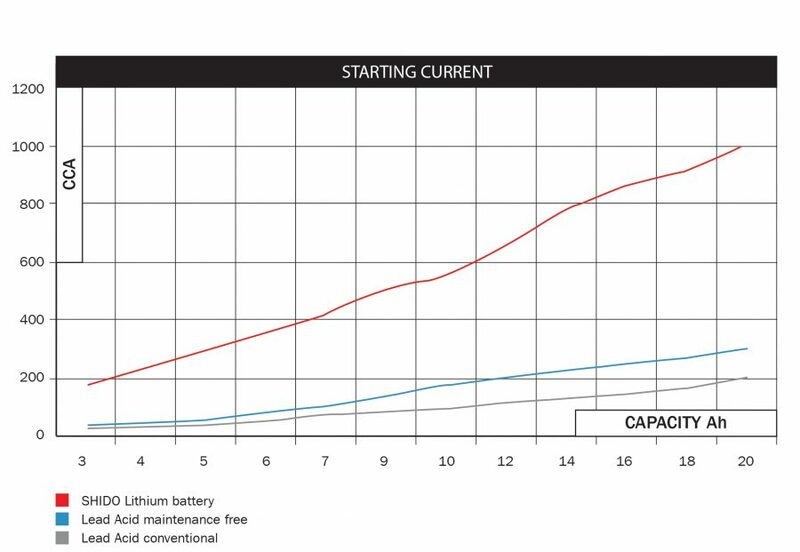 In this table you will find a comparison of lead- acid batteries vs SHIDO Lithium. The starter needs sufficient starting current (CCA) to start. Depending on the necessary starting current a lead-acid battery requires a number of Ah to be able to generate this current. 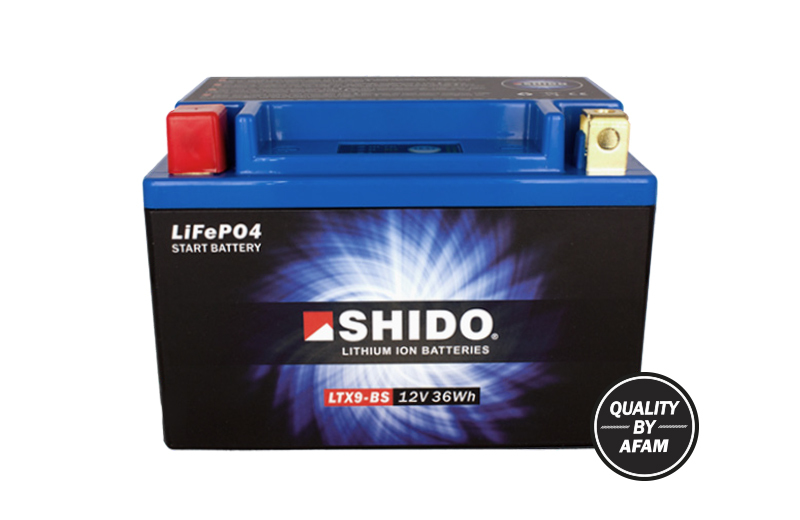 Shido Lithium batteries generate a similar or greater starting power than a comparable lead-acid battery with a smaller Ah value. This is because the internal resistance of a lithium battery is about three times less than a lead-acid battery. As a result, the maximum discharge current is 3 times higher than for a lead-acid battery. A higher starting current guarantees a smoother start.